Even if lacking the wow factor to put them in the same level of bands like IDLES, Protomartyr, Parquet Courts, etc, this band, Fontaines DC, managed to get a very solid release, with good performances and ok songwriting. The production is what you would expect from the genre, though it's not a strong point for me. I like the singer's voice, mainly when he says rrrrrrrrrrr in the first song. Okay, I'm really not getting the high scores everywhere... maybe it was the expectations I had for it. I don't know, I came out of this a little underwhelmed overall, as I went into this project thinking it was going to be the best thing since sliced bread... hmph. Lots of energy, which I do enjoy, but I just found myself sitting there with a bit of boredom... odd. At the late 2010s, it seems that we are facing a golden age of Post-Punk. Fontaines D.C. offer a refreshing sound and nostalgically reminiscent of early 80s punk bands. Brilliant and frenetic. Warm at the tips, but energetic at the core. Truly fantastic. El álbum debut de la banda irlandesa es una gran sorpresa, los miembros son jóvenes llenos de energía, que una vez muestran que para tener un disco impecable no es necesario llegar a la famosa ;profundidad; u ;tajo;, desde que toma cursor este se convierte en una sonata pujanza, todo el disco merece la pena, también he de añadir que el acento le da una autoridad tremenda, sin duda un debut excelente e imposible de ignorar. "Dogrel" is an album from a young band that sounds ambitious, but appear to draw their grooves too similar to artists that have already done it before and in a more impactful fashion. This is decent collection of pleasant (although sometimes borderline generic) songs, and while I didn't think it was very compelling, I hope it's a stepping stone for Fontaines D.C. to truly come in their own in future projects. "Dogrel" is a genuine work. Between the lines, the songwriting feels rich, the production is simple and accessible making the whole record a massive piece of quality in the most softest way. I know this is going to seem ironic considering my score, but what's with all the praise the critics are giving it? Six different critics gave it a perfect score for crying out loud! I mean, it's definitely an extremely fun album and an excellent debut, but it's far from perfect. Jesus Christ i'm late for this album. Why did everything decide to come out the day I take a week long break? Arresting vocal delivery, canny lyrical content...but I can’t shake the impression that the compositions and musical backing are a lot less unique. Overall a more than solid debut all the same. With the Idles album I get the 'I want to thrash around and let it all out' feeling, when I listen to this I get more of a too-cool-for-school swagger type vibe. I enjoy this album and all, but it loses some steam for me in the back half. Still its fun, and I really like a few songs quite a bit. Though it doesn't reinvent the wheel, the Fontaines D.C. debut will certainly keep those who like their rumbling, indie punk music satisfied. I've been listening to this album for a whole day. At first, it was only because it was the best rated album on the site; not my style. Then, it grew on me. Too Real is on my playlist. That album stands out because this group's personality stands out. The debut from Irish punk outfit Fontaines D.C. breathes more fresh air into the resurgence of post-punk through a large focus on clever lyrics. Each song on the album outdid the previous and finished strongly with Liberty Belle through to Dublin City Sky. Expect more exciting things to come from this band. Although this album lacks any significant wow factor for me, I do really enjoy it. An earnest and compelling post punk album that's surprisingly thorough. I still think that critic score is ridiculous but I guess it's not the worst thing to be the most critically acclaimed album of the year. This is a great punk album, similar to Idles and parquet courts, with a great sound ... but not as great and original as idles and parquet courts. not sure what dogrel is but it sounds illegal. 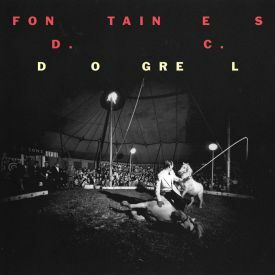 Fontaines D.C. release what is one of the better post-punk albums of the decade with "Dogrel". It's a catchy, well-written and energetic record and I'm very curious to see where this band will go next with their Clash-esque sound. 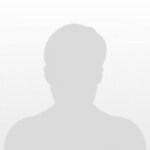 Uninteresting and when compared to its contemporaries- mediocre quality. Was just wishing I was listening to IDLES the whole time. While they do draw some pretty obvious influences from IDLES (who they are also currently on tour with) I think they manage to keep this album sounding fresh. As a whole this album is well written and keeps a pretty high energy level. This is pretty outstanding for a debut project. Can’t wait to see what they do next. If it was released 40 years ago it would have sounded innovative. In 2019 it’s just... enjoyable. wow! Album of the year for me so far. Listened through twice straight away. An album with great energy. Got a joy division feel especially in the bass guitar. Worth a listen. If I had to put this record/band on a post punk scale I would have to say this is somewhere between the melancholic vibes of The Cure and the empowerment of Idles. Fountaines D.C. bring on so much eclecticism to the table there is always this shift of ideas. The album goes on and on while introducing a completely different song. This is what keeps this album interesting and every listen is almost like a new experience where you discover something new every time. Decently sculpted rock. Yet sonically, it is regurgitated— from Joy Division basslines to IDLES intensity. Lyrically, critics care fawning at the lacerating Dublin drawl but what Fontaines are doing is not as steeped in the city’s mythology as those from outside Ireland would have you think. It’s all a bit shallow. I'm not understanding the hype here. The frontman sounds like he's falling asleep, which is a problem only made worse by how loudly his voice is mixed. The band is clearly very talented at their instruments, but there are only a few tracks that really make use of that fact. Some pretty good songwriting chirps up here and there, but for the most part this album lacks any real punch or emotion to it. Isn't this sort of music supposed to have... attitude? This is what the twilight sad wishes they could be with their boring take on post punk. Even this thing is a throwback and it is way more well executed then what the Twilight sad did. I am extremely impressed by FDC and this LP. It's probably one of the better post-punk albums I've heard this decade (others seemed to ride on the coat tails a little too much), but this has a mind of its own. The songs are catchy, playful, and intriguing. This is the type of rock record that makes a statement early on and leaves us wondering how far they'll go next time around. Don't come to this album hoping it's something like Parquet Courts and IDLES because you will be disappointed right of the bat. Listen with open ears and an open mind and you might even like it. I dont know yet. It’s a Parquet Courts with Ramones with The Clash with Talking Heads with Sonic Youth... It’s seems like that Zeppelin Van Fleet but without the evident cheap plagiarism. Admittedly, wasn't too impressed on the first couple listens and really didn't get the acclaim it was getting. however, it's an acquired taste, trust me, I'm loving this album now. It's constantly popping out of nowhere into my head making me sing it out loud, It's just really vibrant, and for a debut album, this is really great and the boys deserve more recognition than they're currently getting. Give it a listen. Though it seems to be wearing its influences on its sleeves, The Irish band's debut is as sharp and as politically charged as some of the biggest post-punk albums this decade. This whole album reminds me of Colin Firth's character from In Bruges. Edgy, honest, morally ambiguous. Good movie. Chatten’s voice has a raw, authentic quality which heightens the emotion of every moment, whether it be singing about making a lot of money or dancing in the rain in Dublin. Roy's tune, and Dublin City Sky (the softest songs on the album) are the standouts for me but I like the thrashier/rockier parts of the album too.